Motorola shocked the tech world when it said that it would not release a new smartwatch annually, which has led some users to become nostalgic and long for the current-edition smartwatch. At the same time, though, the Moto 360 was released with a $300+ price tag, not a budget-friendly price for a device that's not quite as power-packed as a smartphone. 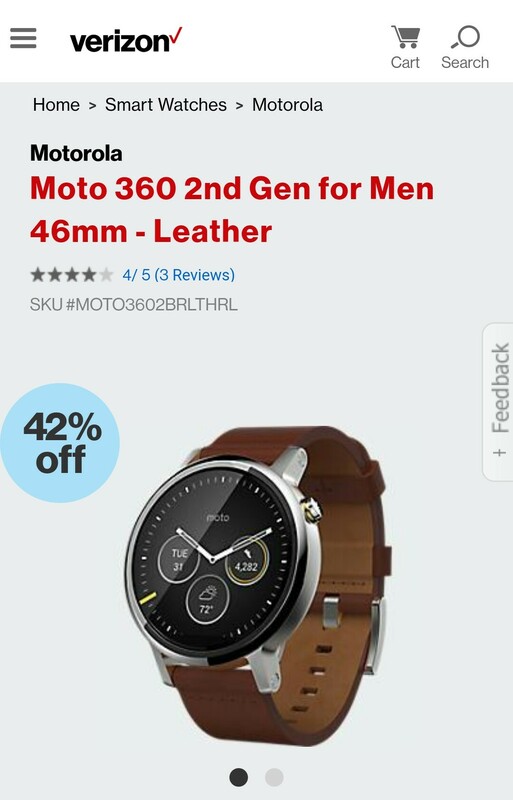 Well, if you really want a Moto 360 but would rather not burn a hole in your pocket (metaphorically speaking), then we have a good deal for you: Verizon Wireless is now offering the second-gen. Moto 360 with a 46mm brown leather wristband and silver watchface for 42% off. The price reduction brings the $349.99 price tag down to just $199.99. The men's 46mm black metal Moto 360 is 50%, down from $399.99 to $199.99. The black metal and brown leather 46mm Moto 360 models are the only ones discounted: women will still pay $329.99 for the 42mm beige leather model and $349.99 for the 42mm silver metal model. 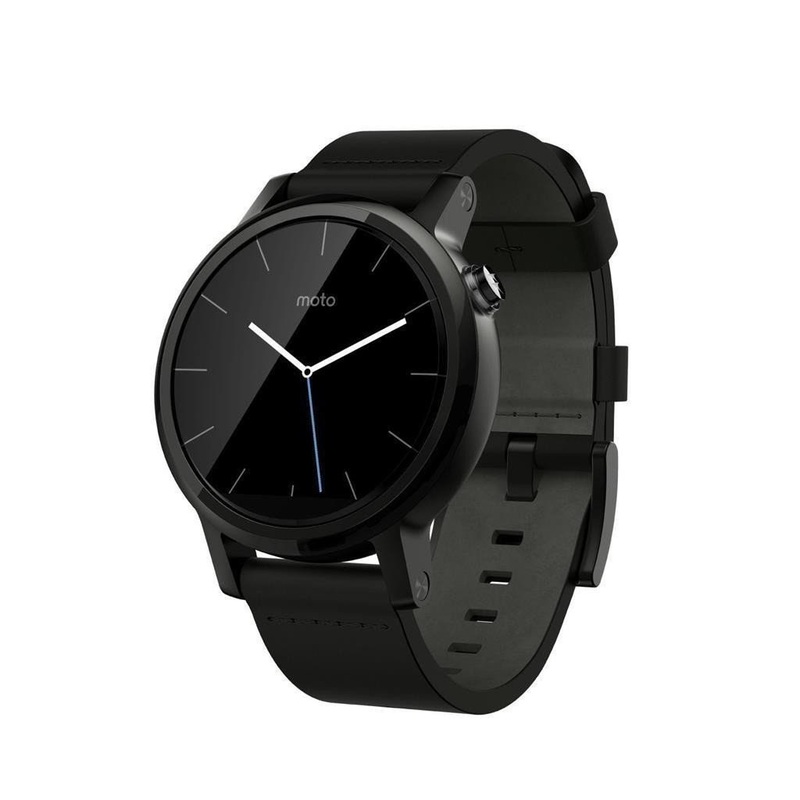 Men will pay $299.99 for the 42mm black leather Moto 360. For those who want the ruggedized Moto 360 Sport, Verizon has discounted that to $199.99 as well, which matches a deal on the Sport model that Motorola itself provided this summer. You can take advantage of the Moto 360 Sport deal at B&H if you're interested in the rugged model, though. The Moto 360 offers the basics of what you'd expect from smartwatches, but it does not have 3G/4G LTE connectivity and runs on Bluetooth and WiFi. The device also operates on Android Wear and will work with iPhones (thanks to Android Wear for iOS compatibility). The first-generation Moto 360 was the first device to change the game in the smartwatch market. Prior to its entrance, the smartwatch market preferred the square form factor for its smartwatches. The Moto 360 was the first smartwatch that mimicked the look and feel of most luxury timepieces with its circular display. Motorola didn't make a perfect smartwatch, though, since it has a black bar at the bottom of the display (called a flat tire) where it has stored the watch sensors that process your health information. Well, what're you waiting for? Head over to Verizon's Moto 360 deal and grab your favorite smartwatch while the prices remain low. We don't know how long this deal is going to last, but if I were you, I wouldn't waste any time.